THIS FLAN IS CREAMY, RICH AND YOU'D NEVER GUESS IT WAS MADE WITHOUT CREAM OR MILK. YOU CANNOT TASTE THE COCONUT MILK EITHER. 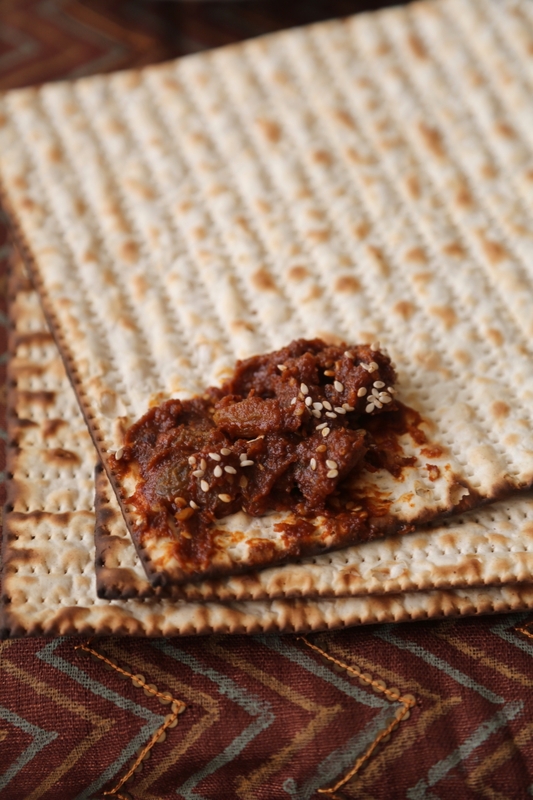 I EXPERIMENTED WITH A COUPLE OF VERSIONS TO CREATE ONE FOR PASSOVER-SINCE MEAT AND MILK ARE NOT MIXED I WANTED A NON CHOCOLATE DESSERT THAT WOULD BE KOSHER. IT TURNED OUT WELL ENOUGH THAT I MAKE IT REGULARLY. IT ONLY USES EGG YOLKS. READ HERE FOR SOME GREAT IDEAS AND RECIPES FOR EGG WHITES. COMBINE THE SUGAR AND BOILING WATER IN A SAUCEPAN. SET ON A HIGH FLAME. DONOT STIR THE CONTENTS WITH A SPOON, SWIRL USING THE HANDLE ON THE PAN ONLY IF REQUIRED. CARAMEL WILL BUBBLY FOR 6 MINUTES OR SO WITHOUT ANY CHANGE IN COLOR AS THE WATER EVAPORATES. IT CHANGE COLOR SUDDENLY TOWARDS THE END. WAIT TILL YOU HAVE A NICE GOLDEN COLOR. THEN SWITCH OFF THE FLAME. THE CARAMEL WILL CONTINUE TO COOK IN THE HEAT OF THE PAN SO ALWAYS TAKE IT OFF JUST SHORT OF THE COLOR YOU WANT. I LIKE A DEEP COLOR. 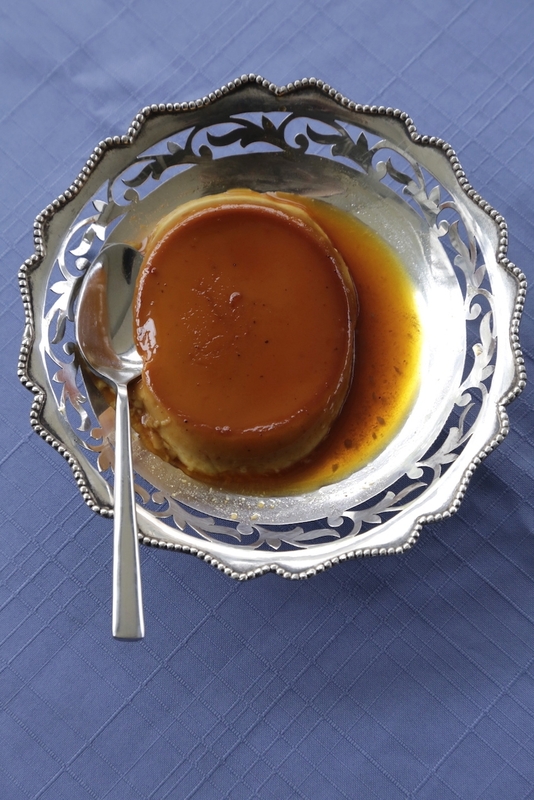 DIVIDE THE CARAMEL BETWEEN THE 6 RAMEKINS AND LET THEM COOL COMPLETELY ABOUT 20 MINUTES. PLACE THEM ON A BAKING TRAY. PREPARE TO USE THE BOTTOM RUNG FOR THE CUSTARD. PLACE AN EMPTY TRAY IN THE TOP RUNG. WHISK ALL THE INGREDIENTS FOR THE CUSTARD TOGETHER IN A MIXING BOWL. PASS THROUGH A FINE SIEVE. DIVIDE EQUALLY BETWEEN THE RAMEKINS LEAVING A LITTLE SPACE IN EACH FROM THE TOP. POUR AN INCH OF WATER INTO THE BAKING TRAY AND SLIDE THE TRAY WITH THE RAMEKINS INTO THE OVEN. BAKE 35-40 MINUTES OR UNTIL THE CUSTARD IS SET ON TOP AND JIGGLES A LITTLE WHEN YOU MOVE THE TRAY. REMOVE FROM THE OVEN AND LET COOL COMPLETELY ABOUT 40 MINUTES. COVER WITH PLASTIC FILM AND REFRIGERATE AT LEAST 5 HOURS OR OVERNIGHT. REMOVE PLASTIC WRAP. USING A SMALL THIN BLADE LOOSEN THE FLAN FROM THE SIDES OF THE RAMEKIN. TURN OVER ONTO A PLATE. YOUR DESSERT PLATE SHOULD HAVE SOME DEPTH BECAUSE THE CARAMEL WILL HAVE SOME SYRUP AS WELL. I GENERALLY DONT BOTHER BUT IF THE RAMEKIN HAS SOME CARAMEL STICK TO THE BOTTOM AND YOU'D LIKE TO EAT IT PLACE IT IN A PAN OF BOILING HOT WATER TO SOFTEN. 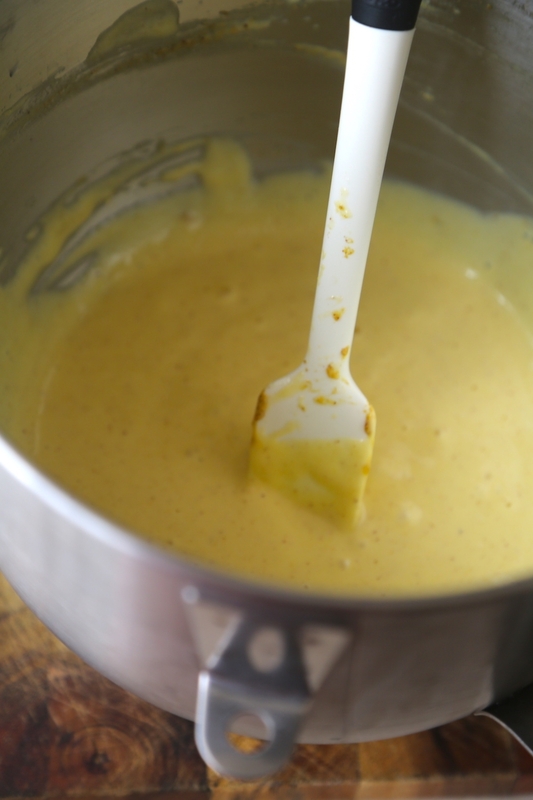 THEN POUR OVER CUSTARD.